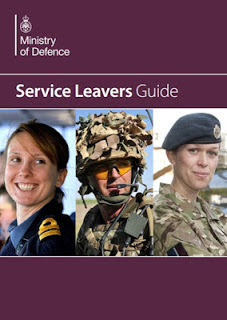 The latest version of the Service Leavers Guide is now available online at the link below. The booklet provides information on a range of topics to help you transition out of the service. From 1 Jan 2016 the service leavers guide will be available as a digital download only and will be no longer distrubuted direct to service personnel in hard copy format. Ensuring that service leavers are signposted to the digital copy no later than 9 months to their termination date, is the responsibility of the first line resettlment team.